Influenza, not to be confused with the common cold, is a viral infection spread through the air by cough, sneeze or direct contact. Influenza can lead to bronchitis and in more severe cases pneumonia. The most common symptoms are chills, fever, sore throat, muscle pains, headache, coughing, fatigue or weakness and general discomfort. For most people the flu will pass within 10 days. However there is a risk of more serious complications for those with a weakened immune system or the elderly. Precautions should be taken during the season to avoid the flu. Wash hands frequently, cough into your sleeve (not your hand), and use an alcohol based hand sanitizer. Throughout flu season boost your immune system by consuming extra vitamin C, taking Echinacea, and making sure to get adequate nutrients from the foods you eat. Increase your intake of fresh vegetables and fruits and limit your consumption of caffeine, starches and red meats. Vitamin C is a great immune booster and is used throughout the body for many different purposes including wound healing, antioxidant effects, enzymatic reactions. 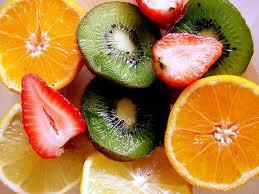 Research shows that low amounts of vitamin C make people more susceptible to infections of the lungs. White Mullein is used to treat infections of the respiratory tract, specifically bronchitis. It has softening properties which sooth respiratory affections. White mullein contains anti-inflammatory substances and is great for treating coughs. Ground Ivy has been used since the middle ages to fight fever and bronchial infection, including flu and asthma. Thyme acts as a digestive and bronchial antiseptic agent used to treat cough, stomach and intestinal upset, it is also a general tonic for fatigue. 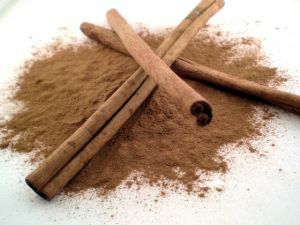 Cinnamon can be taken in capsule form or can be added to the food & drinks you consume in a day. If using powered cinnamon in food, remember that you need to consume 1 to 2 tablespoons for full health benefits. Cinnamon is a great antiseptic agent and immune booster. While I do notsupport the flu vaccine, it is important for the elderly and individuals with a compromised immune system to speak with their health care provider about the flu shot and any concerns you may have. I would love to hear from you! If you have any questions regarding this post or any other topic please write to me!